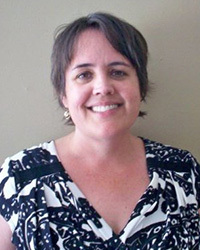 Dr. Darcy Fox has served as an adjunct faculty instructor and an online curriculum developer at the university since 2013. She aslo freelances as an online copy developer and web designer, specializing in the healthcare and home design fields. Earlier in her career, Dr. Fox was regional center director and state director of researching and bargaining for the Idaho Education Association. She also taught graduate-level quantitative research methodology and statistics at the University of North Florida, elementary inclusion and ESL in Florida’s St. Johns County School District, and SAT/GRE preparation at Huntington Learning Center. Darcy began her career as special needs coordinator at the Gainesville Jobs Corps Center.